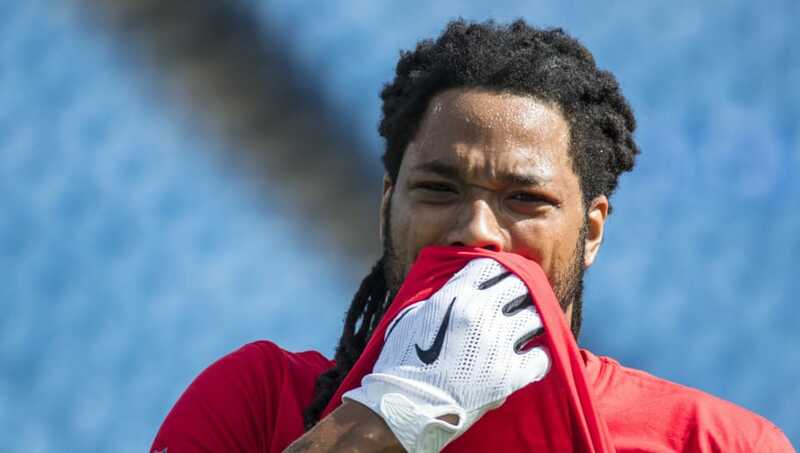 ​Kelvin Benjamin is truly a sight to behold. In the latest installment of how terrible a teammate the wide receiver is, the ​Buffalo Bills wide receiver reportedly turned down quarterback Josh Allen's offer to work with Benjamin before their game against the ​​Houston Texans on Sunday. ​​What player in their right mind turns down their teammate who is only trying to help them for the sake of the team? The bond between a QB and WR is extremely important especially because Allen is a rookie and is still building a connection with his receivers. So far this season, Benjamin is second on the team in receiving yards (103) with one touchdown that he caught a month ago on Sept. 16 versus the LA Chargers. ​​For the 27-year-old to turn down help from his rookie quarterback is a slap to the face. Benjamin doesn't have a good track record regarding relationships with his QBs (aka ​Cam Newton) so we probably shouldn't be surprised by this.